Explore some of New Orleans' fascinating history with this 2-hour cemetery walking tour. Visit St. Louis Cemetery No. 1 & discover the final resting place of Voodoo queen, Marie Laveau. 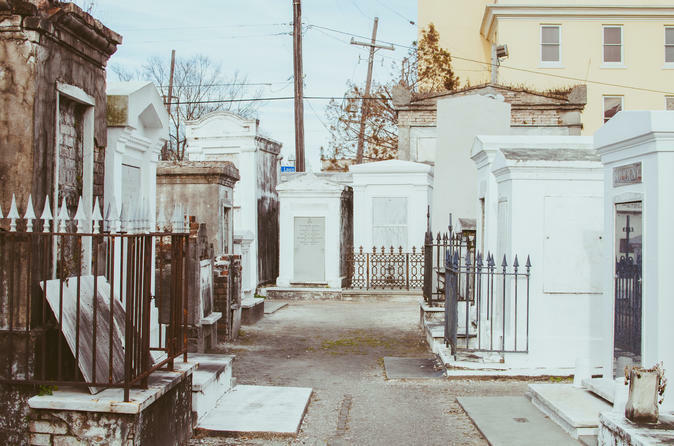 There are three St. Louis Cemeteries in New Orleans, but the oldest extant cemetery in the city is St. Louis Cemetery Number 1. It is still the site of several burials a year . Here you will notice that the cemetery's graves are above ground tombs, referred to as 'Cities of the Dead' because they resembled small houses and make the cemetery look like a city in itself.